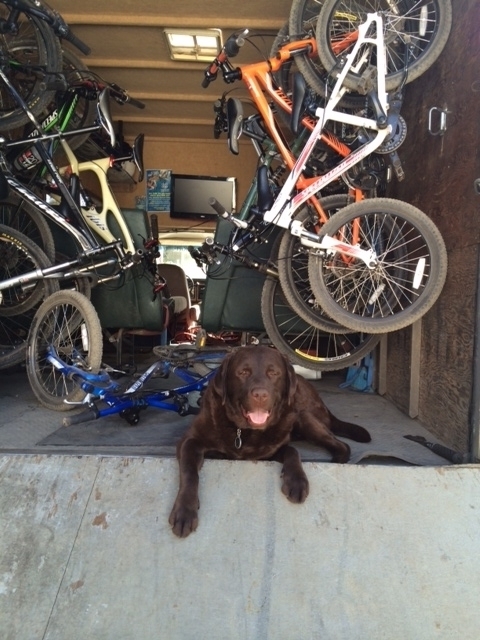 Kids Dojo is a non profit dedicated to building confidence through mountain biking. Our mission is to help kids be active, confident and healthy. We believe that mountain biking builds self-esteem and enables children to experience the great outdoors while keeping their heart healthy and finding an exercise they love and can do for life. We teach basic mountain biking skills to kids 8-14 in a fun safe environment. Our program is designed to meet each rider at their ability and enable them to flourish and become conscientious, controlled and confident cyclists. Your child will improve both their cycling ability and their self-confidence in an environment that is safe, fun and has great riding. Kid’s Dojo after school programs and summer camps are designed for kids of all levels. We want children of all economic backgrounds to be able to experience the joy of riding and be able to participate in our programs. We depart from our local bike shop partner and spend the day or afternoon learning basic skills, riding safety while making some great new friends. Each day we explore different trails and terrain. Our goal is to be able to provide kids in need an opportunity to ride by offering scholarships and equipment to enable them to enjoy a week of summer camp or 8 weeks after school. We rely on the generosity of individuals and businesses for support. Without the assistance of community-minded individuals, we wouldn’t be able to serve those in our community. Kids Dojo gives each child an experience to remember. 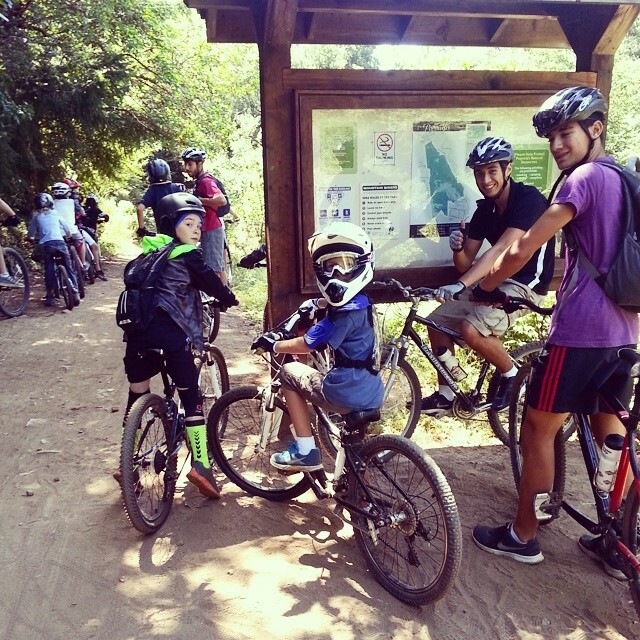 Learn more about our After School Mountain Bike Program here or Join Kids Dojo now! Kid’s Dojo started in 2012 with our first summer camp. The excitement it generated lead us to create the next phase; after school programs. In 2013, with the Santa Cruz locations being sold out, Kid’s Dojo expanded to Los Gatos and in 2015 to Palo Alto. Our goal is to get even more kids riding and active. Endorsed by Santa Cruz, Scotts Valley, Palo Alto and Los Gatos Parks and Recreation the program continues to grow each year. In 2015, we became a non-profit so we can have more children riding regardless of their economic level. Rob Mylls, a Santa Cruz local, avid cyclist and former BMX, track and road racing champion. After twice completing the Aids ride from San Francisco to Los Angeles, Rob wanted to share his passion for cycling by creating a community in which everyone rides in a safe, friendly and supportive environment Rob successfully taught bike fundamentals to his family and friends and soon realized there was a need to teach the basics to new riders so they too could enjoy all the benefits of riding. He opened Bike Dojo, Santa Cruz’s premiere indoor cycling studio and built a local community of indoor and outdoor cyclists. Mountain bike camps soon followed based on popular demand from the local community. In 2014, he sold the gym to focus on his passion of teaching kids riding and helping them see the benefits of mountain biking. All of our coaches are CPR certified, fingerprinted and have a full background check. We have coaches who are skilled mountain bikers who can teach skills and inspire progress. Learn more about or Summer Kids Bike Camps here.